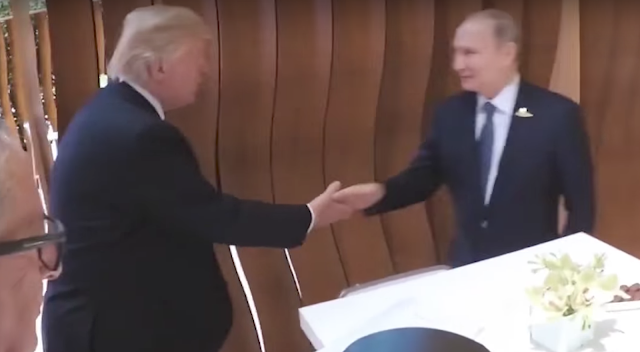 Earlier today at the G20 Summit in Hamburg, Vladimir Putin and Donald Trump met publicly for the first time. What can we discern by their body language? 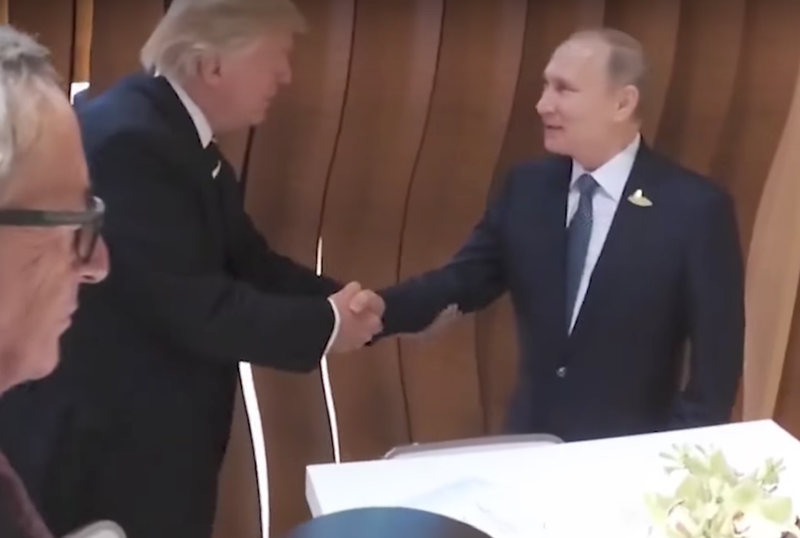 In the initial milliseconds, just before their hands make contact, note that President Putin's hand is angled a bit more in a palm-down orientation, while President Trump's hand is necessarily more palm-up. A palm-down positioning projects dominance. 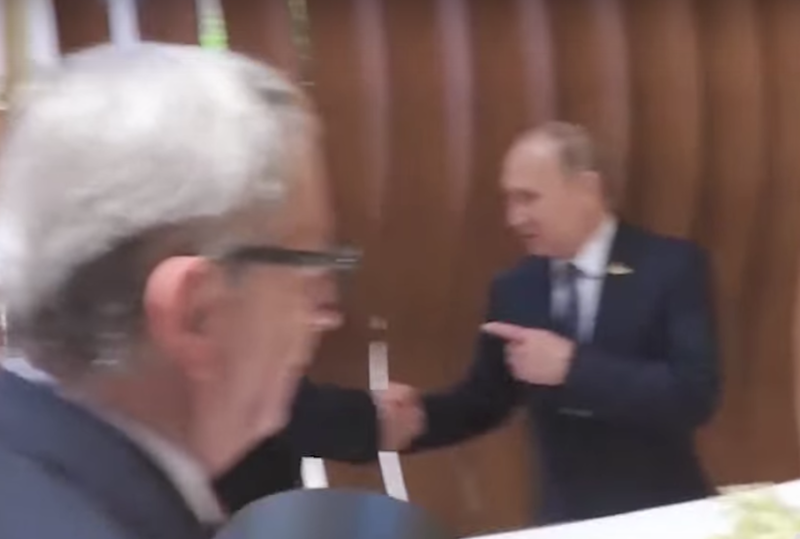 Not surprisingly, it's also a common handshake practice of many alpha personalities, including Putin (e.g., at the commencement of the 2013 G20 with President Barack Obama). 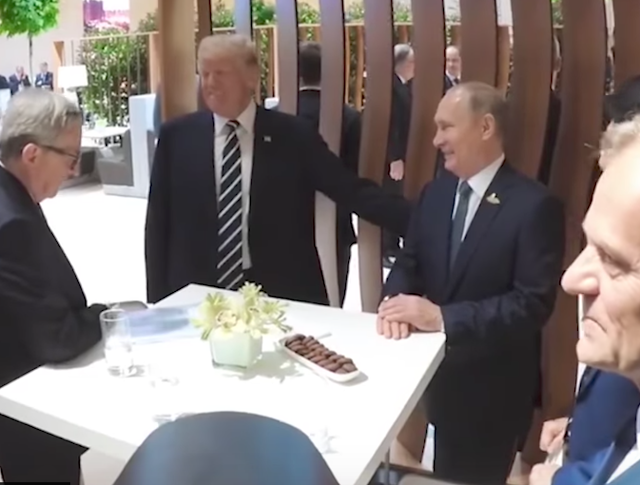 Trump then pulls Putin's arm closer to his torso - which is a truncated version of the maneuver which, for Trump, is very routine during handshakes. This dynamic gives him leverage to more vertically-orient his and Putin's hands, changing each to a more neutral position. Trump then pats the underside of Putin's forearm three times with his left hand. While those who use this maneuver will momentarily up-regulate their alpha status (both internally - in their own psyche and externally to others) - there's another important and competing dynamic. Grabbing the forearm, elbow, upper arm, shoulder, etc., is an invasion of the other person's personal space (intimate space). It's a false friendship/false intimacy dynamic - one which the vast majority of people do not like. Indeed, many people take offense to these variations and thus such practices will start any kind of greeting or meeting off on the proverbial wrong foot. President Putin then displays a nonverbal gesture very commonly practiced by President Trump - index finger pointing. In general, index finger pointing is highly discouraged - for it's universally offensive. Yet some people perform this illustrator as a nonverbal way of saying "We are on the same team", "It's Us versus them", "Let's do this together", and/or "Our mindset is one in the same/similar". This nonverbal signal is manipulative - and a body language method of "Forced Teaming" (de Becker). 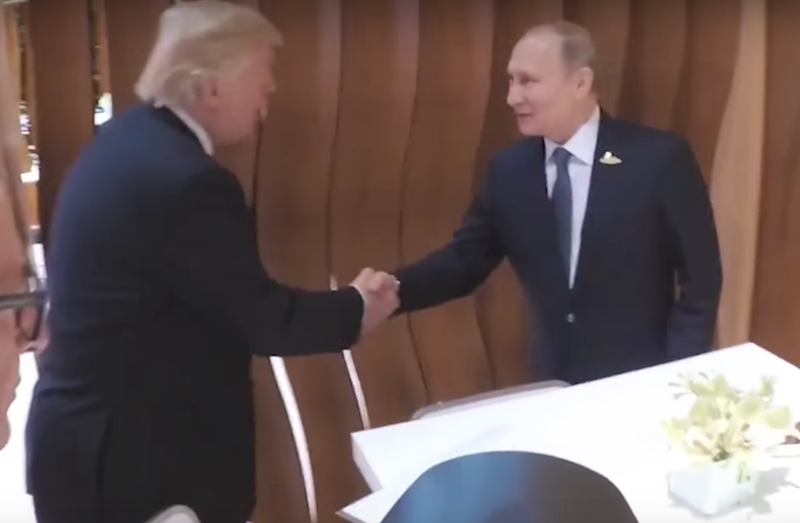 In this final image, President Trump again violates Putin's intimate space by patting his shoulder/upper back region. This action is rapport destroying - yet those who use this (and similar maneuvers) are either tone-deaf its results - and/or they place greater value on their short-term, power-surge feelings of dominance this nonverbal display evokes. Putin's hands are uncharacteristically placed in a relatively beta position on top of the table (which is not recommended in this context). Summary: In the initial meeting between President Trump and President Putin, Trump nonverbally overstepped. While Trump's action of "out-alpha-ing" Putin with his dominance displays made Trump feel momentarily in-charge, from Putin's perspective they were rapport destroying. President Putin made a mistake too - that of projecting a bit of a beta emotional tone at the very end of this exchange.